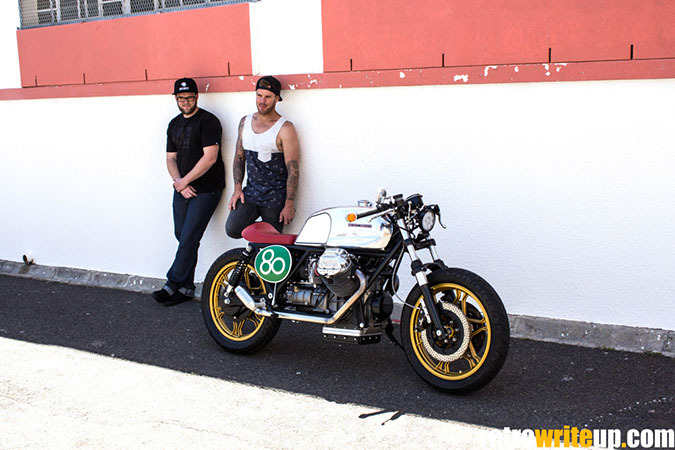 I met up with Kyle and Chris from Wolf Moto in December 2014 at the Woodstock Mancave Garage built show. This is where I saw the custom Moto Guzzi for the first time. All the standard trim was stripped off, including the tank. The standard tank was replaced with an imported custom aluminium tank. 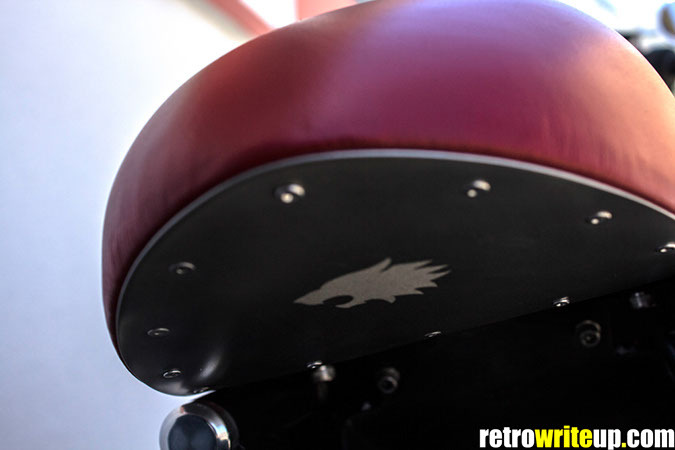 The custom seat, covered in red leather, compliments the engraved Wolf Moto logo at the bottom. 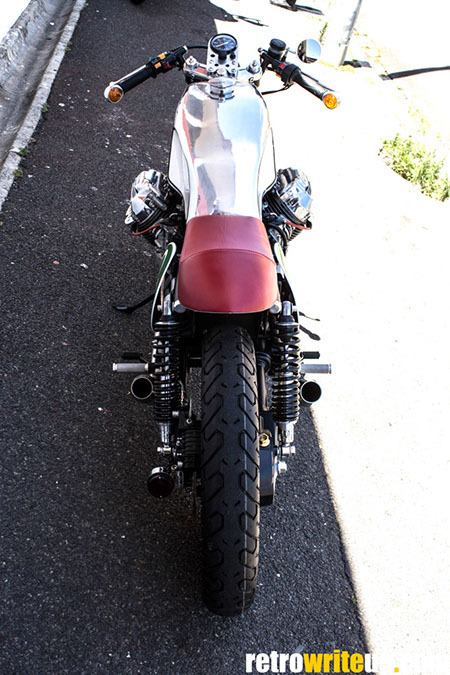 Small twin concealed tail lights are integrated into the frame. A smaller LED headlight improves lighting and helps with cutting down the overall weight. 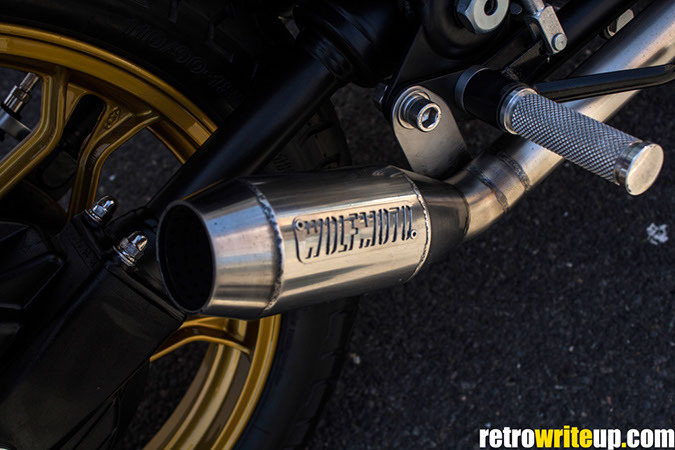 Signature Wolf Moto exhausts are made from stainless steel, with the headers following the lines of the frame. Scott has since moved to Cape town where he is renting out custom motorcycles for film shoots, adverts and guided tours through Cape Town. 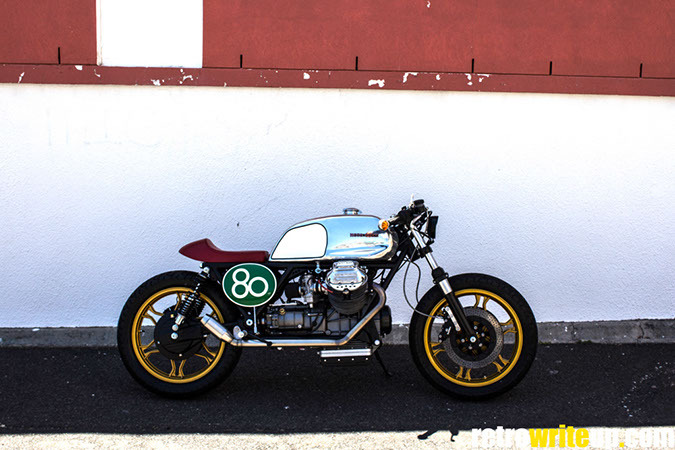 Chris remains in Durban where he is still building custom motorcycles. Hi Kyle. I received your website from a buddy Guido kaiser who is a fellow Guzzisti. 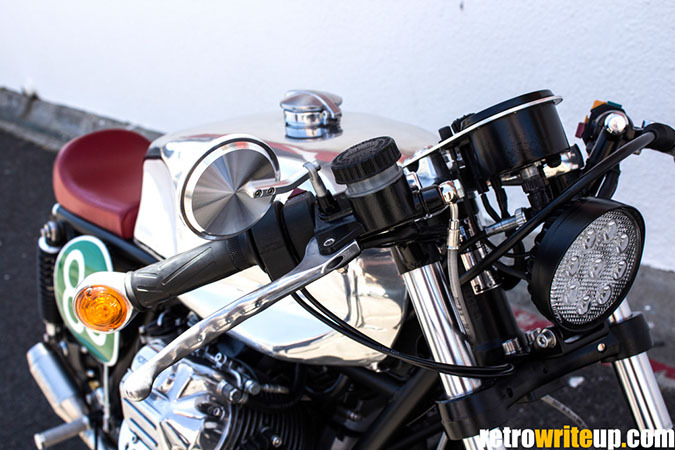 The cafe Racer looks great. I’m having one done at Rim & Rubber in Greenside, JHB.. About half ready. Based on an 850T3. Have 2 others. 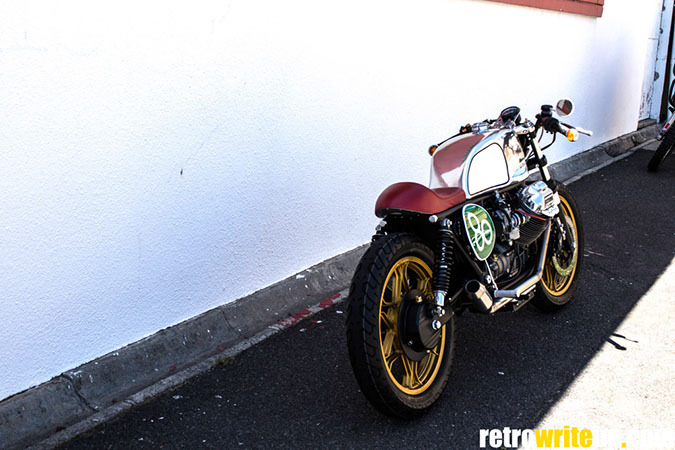 The original 1st V Twin 700 & an Le mans 2 with Agostini 980 conversion..